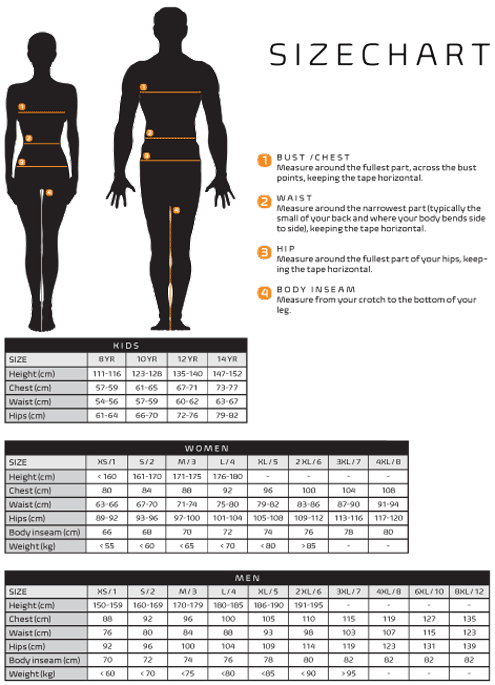 This sizing chart is intended as a guideline. Cycling fabrics are highly elastic. Fit preferences among cyclists vary greatly according to personal taste. The sizes below reflect a tight, European racing fit. If you prefer a slightly looser fit, order the next size up.